This is the first title of the six-book global deal that Amazon Publishing announced with Chetan Bhagat in April this year. 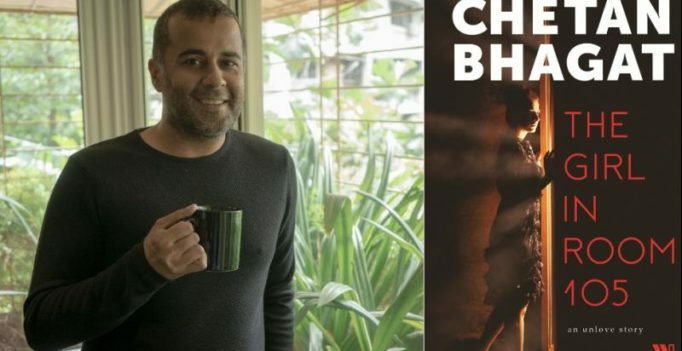 Author Chetan Bhagat’s fans and readers can now get a sneak peek in to his upcoming novel, announced via a slick promotional video. The new novel – “The Girl in Room 105” – and its promotional video, were announced via Facebook Livestream in Mumbai recently. The trailer suggests a plot about a boy called Keshav Rajpurohit from a conservative family, who faces an unexpected turn of events when he goes to visit his ex-girlfriend Zara Lone, a Kashmiri Muslim, in her room. The plot also involves a thriller like format – a first for the author. ‘The Girl in Room 105’ is a fast-paced, funny and unputdownable thriller about obsessive love and finding purpose in life against the backdrop of contemporary India. ‘The Girl in Room 105’ is now available on pre-order on Amazon.in. It will be widely available on 9 October 2018 in print, online and at retail stores, and as an e-book on Kindle.